Welcome Aboard the Danny J! The Danny J is a conventional-style fishing boat that has served as both a passenger ferry for the residents of Halibut Cove and as a tour boat for visitors to the area since 1966. The Danny J is also a member of the Classic Yacht Association and a member of the Seattle fleet. 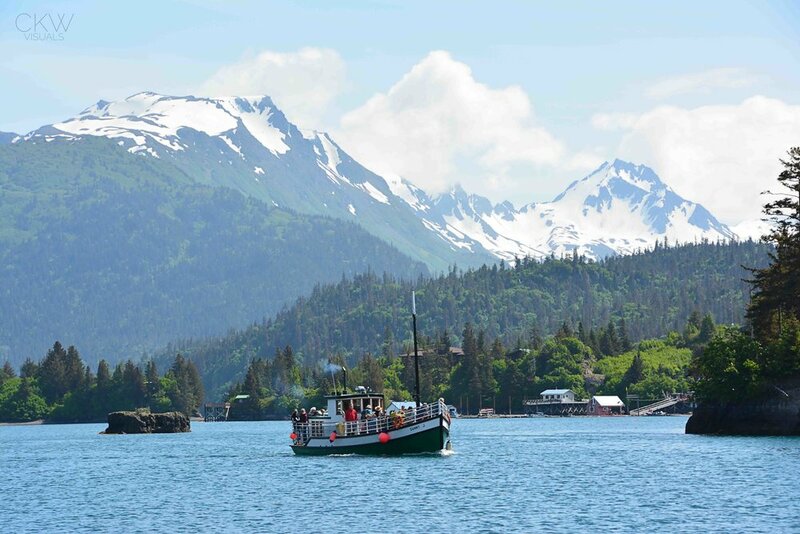 Starting from the picturesque Kenai Peninsula town of Homer, the cruise aboard the Kachemak Bay Ferry, the Danny J, sails through some of the most scenic and vibrant waters anywhere. Ferry fare and Gull Island Tour is $66 plus tax. We offer a $10 discount for kids ages 3 to 13. Children under 3 are no charge. Meals are paid for separately at The Saltry. 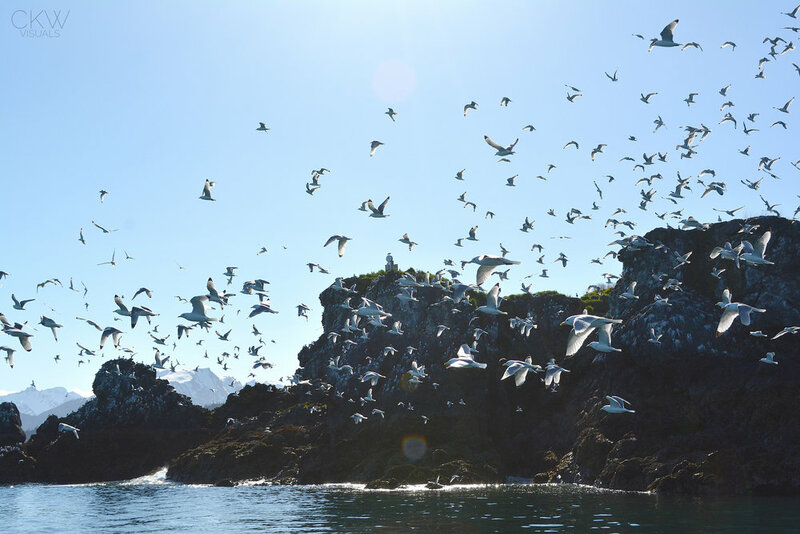 One of the highlights of the cruise to Halibut Cove is a visit to Gull Island, a bird sanctuary, a short twenty minutes from Homer. Gull Island is home to nine nesting species of birds. Many, many other species may be found here during migration, and before and after nesting. Binoculars and camera gear are a must! 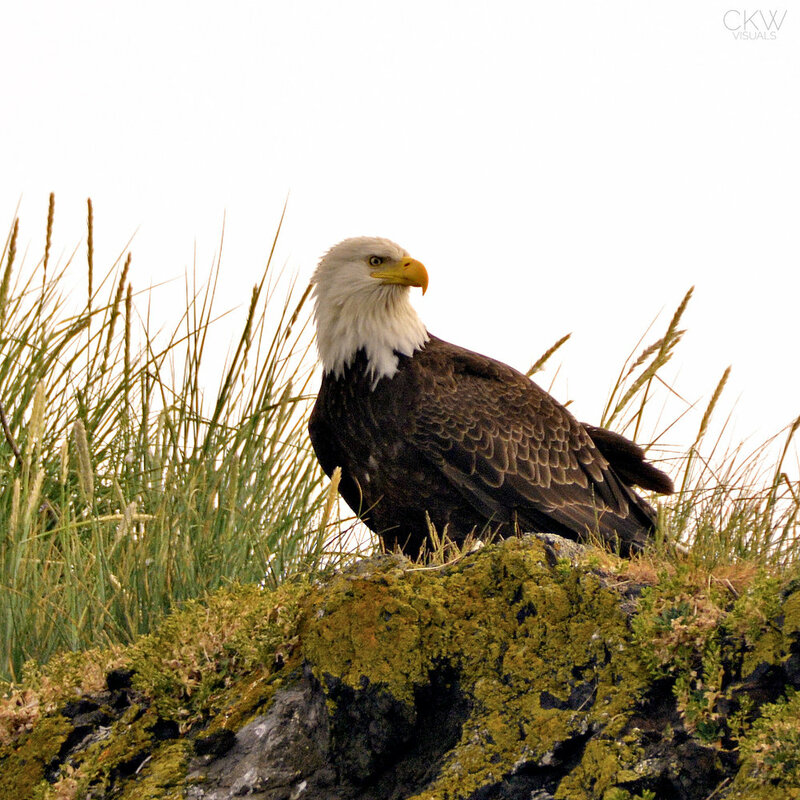 In addition to the fabulous birds on Gull Island, Kachemak Bay is teeming with sea life - sea otters, seals, whales, porpoise and more! You will have 3 hours to explore Halibut Cove. The Homestead island is dressed with many hiking trails and spectacular views. There are opportunities for breathtaking photographs. There is 1/2 mile of handicap-accessible boardwalk owned by the Tillions. Stop in and enjoy a complimentary hot beverage at the Halibut Cove Experience Gallery, and dine at the Cove's local restaurant, The Saltry. At 4:00 pm, it's time to head back to Homer! Daily 5:00 pm ferry departure is available for The Saltry dinner customers. 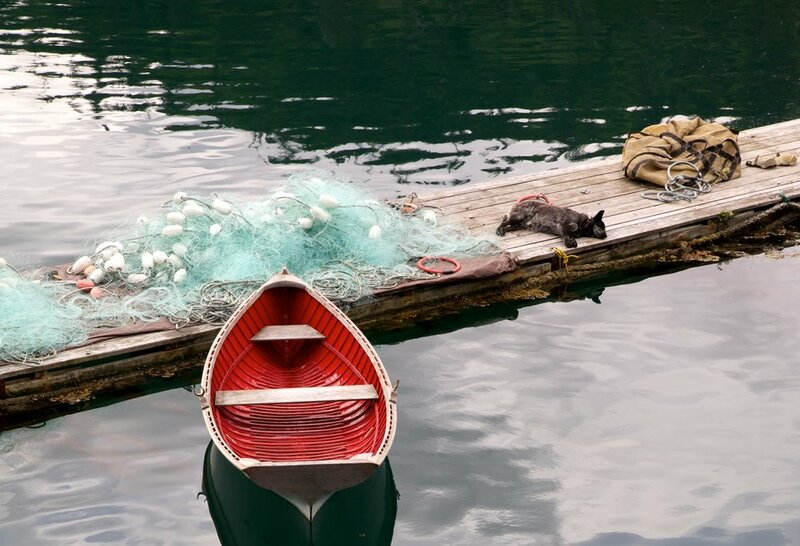 A relaxing and informal Alaskan Adventure, we want you to feel at home with us during your visit. Feel free to ask questions of our all-Alaskan crew. We're happy to share our knowledge of our home with you! Ferry fare is $41 plus tax. Meals are paid for separately at The Saltry. This trip does not visit Gull Island. You'll have three hours to dine at the Cove's local restaurant, The Saltry, visit the galleries and explore Halibut Cove. At 9:00 pm it's time to head back to Homer. Our trips are sold as ROUND TRIP. You must return on the trip you purchase, unless you are renting accommodations on the island. Reservations are required. The Danny J carries 29 passengers. In addition to the Danny J, we sometimes operate the 45 passenger Stormbird. All vessels are Coast Guard approved and licensed. Modern docking facilities make it easy for anyone to get on or off the boats, although the ramps to and from the boats can become steep during low tides. Kachemak Bay Ferry reserves the right to substitute another vessel for the Danny J as conditions dictate. 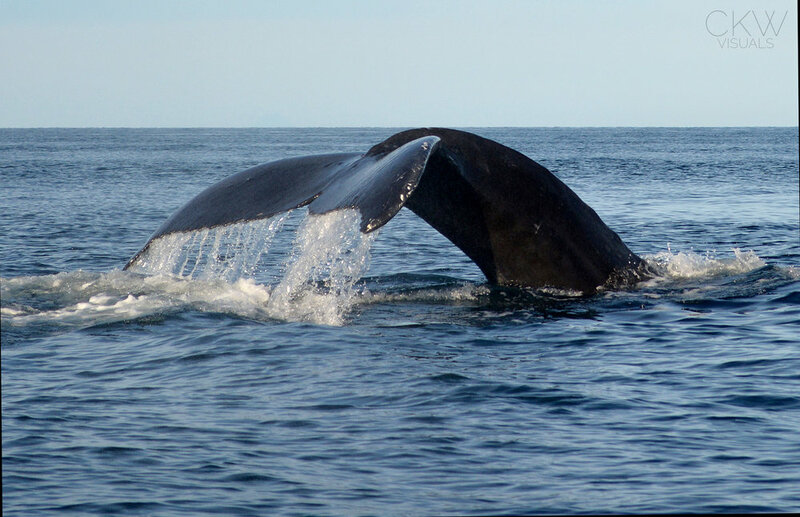 Special charters are available upon request. We are dog friendly! Dogs are welcome to accompany you, no charge, as long as they are well-behaved and must remain on-leash at all times! We go rain or shine! We do not offer refunds to those who choose not to go in rainy weather. Our boat has limited indoor seating, so please dress warmly and casually. Rain ponchos are provided aboard the boat. Sturdy walking shoes are recommended and layered clothing is best to allow for variations in weather and temperatures. Tours depart daily Memorial Day weekend to Labor Day from the bottom of Ramp #1 (Below the Salty Dawg Saloon). Transfers to the dock are not included.